As I reviewed his book, Pashu, Animal tales from Hindu Mythology, I found myself agreeing with Devdutt Pattanaik. There is so much yet to be done – to make our cultural heritage engaging for the young ones – in a manner that is contemporary and will appeal to them. Animals play a big role in Hindu mythology; the gods and demons are incomplete without them. The Puranas, the ancient chronicles, believe that Pashu (as animals are known in Sanskrit) have a common father; Kashyapa, son of Brahma is their father, and they have different mothers.The book Pashu is divided into sections according to the mothers of various animals. Vinita is the mother of animals that fly and Surabhi’s children are animals with hooves; Sarama gave birth to animals with paws and Surama’s children were different. Among other texts, Pashu has short stories from the Bhagwat and Matsya Puranas and from the Mahabharata and Ramayana. It was delightful to read why the cow Kakabusandhi was worshipped, how Garuda freed his mother from the slavery of the Nagas, how Indradyumma was remembered on earth, why goddess Saraswati is associated with a goose, and if Shibu was wrong in protecting the dove from the hawk? Interspersed with these short stories are other nuggets of information. What is the significance of the totah-mynah stories, what is Jaimini Mahabharata, and why does Dattatreya, the teacher of teachers, have four dogs in front of him and a cow who follows him? There is a wealth in our ancient texts and epics; what lacks is a way to interpret them in a contemporary manner and Devdutt does an excellent job of it. 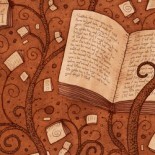 Stories are meant to teach us about the world around us and the stories in Pashu help make meaning of events. How should one strike a balance between generosity and restraint, why is it not a good idea to topple the natural order of the universe, and why hurting animals and destroying their natural habitats is unwise? Stories also help us look inward and understand our behaviors. What is the significance of half-man, half-animal creatures like Ganpati, Hayagriva and Narsimha? Does killing of animals also signify killing the beast inside us, to help us gain a balance in the universe? A definite read – for children – and also for adults like me who did not grow up with these stories. For me there was nothing religious about the book, just delicious stories set in an Indian context, from India’s rich cultural past. 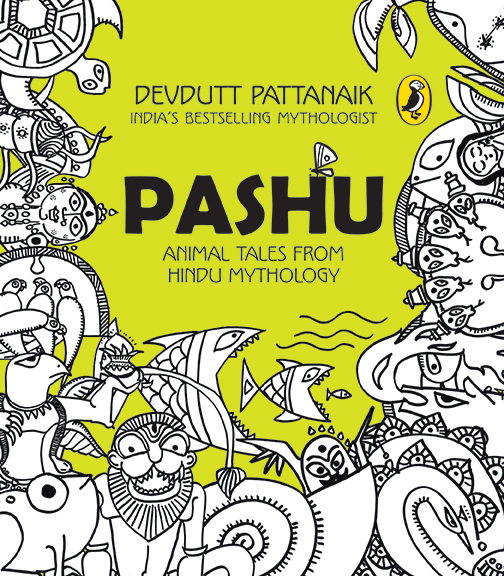 This entry was posted on March 12, 2015 by Preeti Singh in Book Reviews, Kids, Mythology and tagged Animal Tales from Hindu Mythology, Devdutt Pattanaik, Pashu.